I personally highly recommend any of the titles from the Craft and Vision line up. I’ve read several of them myself (see my reviews section for more details) and trust the company to provide high quality, high value publications. Get them all today! They’ve updated the website and you’ve got until tonight to cash in! 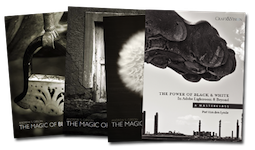 The new PDF eBook bundles, collections, and gift coupons are available at the insane low price of almost nothing! Well, not quite. Below are the discount codes you need to get 50% off. 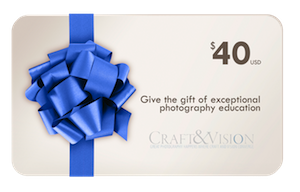 The new Craft & Vision gift coupon is valued at $40 but today you can purchase it for just $20! 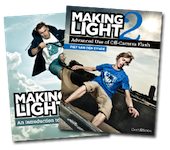 That’s a massive gift of 8 ebooks that will be sure to wow your friends and family. It’s so simple to use! Once you make the purchase the shopping cart system will email you a unique 5-digit code which is valid for PDF eBook purchases at www.craftandvision.com. You can write that code in a card or send it digitally to your chosen gift recipient. *NOTES: Gift coupons do not expire. Gift coupons cannot retain any unspent value for future use. Gift coupon codes will be activated for use (Saturday) November 26, 2011 at 12:00am PST. They’ve packaged up some bundles that I know you’ll love! The discount codes listed above expire tonight (November 25th at 11:59pm PST) and are for PDF purchases only.